Few escaped the fire of the Dragon Smaug when he fell with death and ruin upon the Dwarf realm of Erebor beneath the Lonely Mountain. Even fewer expected to find King Thror or his son Thrain among the survivors, but against all hope the Longbeards had escaped the sack of the city by way of a secret passage. Centuries later, the precious key to this back door to the mountain kingdom would find its way into the hands of Thorin Oakenshield, grandson of Thror and the heir to Erebor, and with it, hope of restoring his throne. 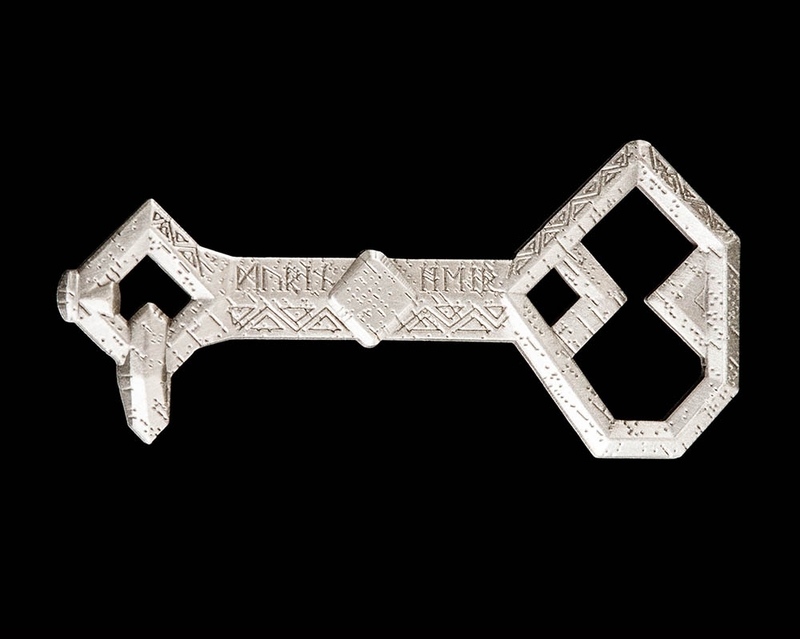 The collectible Key to Erebor Trading Pin is made from metal (brass) with enamel paint detailling. It comes mounted on a backing card inside a plastic bag. The reverse of the pin is plain gold metal.